The days of DJs spinnin’ on vinyl have come a long way. With the evolution of technology ever changing the sound palat of our electronic music, the possibilities to create and share collaborations in sound and innovative methods are bound only by our imagination. There is no final frontier, no final fantasy, it is always a new beginning and the adventure ever moves forward. Our destination is the Amsterdam Dance Event, (ADE) in Holland at the House of China where the focus is on Electronic Dance Music (EDM) in China. ADE brings sound artists and innovators from around the world to the cultural melting pot of Amsterdam considered by many the centre of EDM. No wonder China has now made its presence there felt for the second year in a row. China is becoming an important force in the EDM scene worldwide exporting its EDM festivals abroad; STORM, China’s largest EDM festival shook the crowds of Australia last year and the rest of the world dropped its biggest festivals ULTRA and CREAMFIELDS to the stomping grounds of China. Now one of the top 5 genres in China, EDM is slowly seeping from the underground to the mainstream. Little wonder Sony launched an EDM label earlier this year in partnership with Tencent Music. 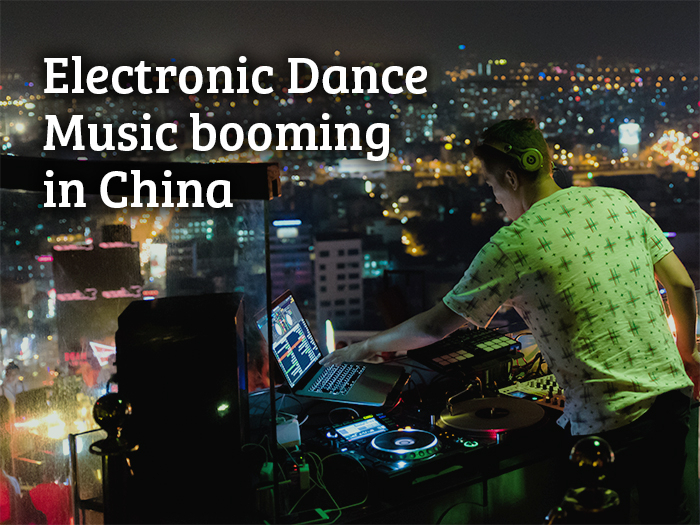 Despite its fast growth, electronic music is still a relatively young genre in China having emerged during the 1980s, after the country’s political opening-up in 1978. Foreign exchange students were the first to organize and attend dance music parties concentrated around Western bars in Beijing. As the local youth became more and more interested in dance music, the electronic dance scene began to grow with the first nightclubs opening in the 1990s. Since then the club scene took off quickly. Nowadays clubs spinning electronic dance music are common in major cities. The increased exposure and availability of EDM in China has drawn out new creative talent from the crowds, producing EDM stars like Chase who is based in both China and Amsterdam. From the panel discussions at ADE in The House of China this year it was understood that the Chinese audiences are looking for new experiences. The high energy, communal, sensory satiating environment simulated on the dance floors of EDM concerts is just the flavour of awesome they are looking for. EDM is a gateway for Chinese youth to discover and express their inner emotions. Electronic dance music is probably not the first thing that comes to people’s mind when thinking of China. But China’s dance music scene is growing fast. In fact, it is not only growing fast, but downright booming. The number of electronic music festivals since 2016 has risen from 32 to over 150 this year meaning exponential growth. Even though the majority of the performing artist are Chinese, that doesn’t stop the big names from making their presence felt like Armin van Buuren spinning at the ISY Festival in Haitang New Years Eve 2018. The craving for more new sounds and foreign flavors are in high demand to fill the ever increasing amount of events allowing upcoming artists to enter the scene. The opportunity for new EDM artists to experience the ravaging crowds of China is knocking on your door. Get started with Musicinfo.io!